John C. Taylor is one of the most respected personal injury trial lawyers in California. With more than 100 jury trials in diverse fields, his success in the courtroom is underscored by his multi-million dollar verdicts. John’s areas of expertise include serious personal injury, wrongful death, products liability, civil rights, employees’ rights, insurance bad faith, faulty road design and general negligence. John has been involved in numerous high-profile cases, including representing the mother of a woman who was killed by Phil Spector, as well as the family of Sherri Rasmussen who was beaten and shot by Los Angeles Police Department police officer Stephanie Lazarus. The case went unsolved for more than 20 years as the LAPD believed it was a botched burglary. John also represented Gilberto Santillan in his wrongful termination lawsuit against USA Waste of California Inc. Though the court originally sided with USA Waste, the United States Court of Appeals for the Ninth Circuit held that “federal immigration law did not require him to provide proof of employment eligibility,” and that Mr. Santillan was within his legal rights to file a lawsuit for age discrimination. John has been practicing law in Los Angeles for more than 35 years and is a well-known figure in Southern California legal circles. John received the “Trial Lawyer of the Year” Award from the Consumer Attorneys Association of Los Angeles (CAALA) in 1988 and has been nominated for the award numerous times since then. In 1992, he was again honored by Verdictum Juris naming him the “Trial Lawyer of the Year”. 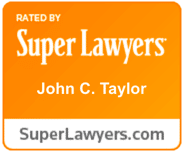 He has been named to the list of Southern California Super Lawyers since its inception, as well as to its “Top 100 Lawyers” in Southern California list since 2007, and as one of the “Top 10 Lawyers” in 2011. He has also been included on the prestigious list of The Best Lawyers in America for several consecutive years and named to Lawdragon’s list of “500 Leading Lawyers in America”. He holds the rank of “Diplomate” in the American Board of Trial Lawyers (ABOTA), a national association of experienced trial lawyers and judges. He has testified as an expert at trial on legal ethics, legal malpractice and insurance bad faith. John has continued his participation and contribution to consumer rights as a sustaining member of CAALA, the American Association for Justice (AAJ) and Trial Lawyers for Public Justice (TLPJ). He has served on CAALA’s Board of Governors since 1985 becoming an Emeritus board member in 1997. He has also served as a member of the Board of Governors of Public Counsel, one of the largest public interest practices in the nation. As a frequent speaker and contributor to seminars, John focuses on advancing the reputation of the legal community and the rights of injured consumers. He has spoken on ethics at Loyola University School of Law and on Trial Advocacy at Whittier School of Law. His views have found a forum both locally and nationally as a speaker to such groups as CAALA, the Consumer Attorneys of California (CAOC), the American Bar Association’s Products Liability Division, ABOTA Inns of Court, and the Nevada and Orange County Trial Lawyer Associations. John is a graduate of Ohio University and McGeorge School of Law at the University of the Pacific. He began his legal career clerking and trying cases for the Sacramento County Public Defenders’ Office, and then worked as an insurance defense lawyer, becoming the youngest partner ever at his firm. John left defense work and after several successful years as a solo practitioner, he became a founding partner in Greene, Broillet, Taylor & Wheeler. During his 12-year tenure at the firm, John tried and won a variety of complex and sophisticated matters as the firm became a nationally-recognized leader in plaintiffs’ personal injury law. In 2002, John joined with David Ring to create Taylor & Ring, where he continues his successful trial practice.